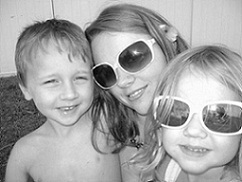 I am a working mommy to two wonderful kids...and these are my adventures! ...I get it. You're 30 now. The days of binging on tacos and milkshakes are over. They should have been over after childbirth but I'm so hard headed. Turning down a nice rare ribeye steak is next to impossible. Ice cream and cupcakes are a bad addiction. I imagine that this is kinda how a drug addict may feel about drugs. Not to mention, my knees hurt, my back aches, and I'm completely unhappy with my appearance. I'm going to start treating you better. I promise.